While some would prefer it if video games remained light-hearted entertainment suitable for the whole family, some believe games can and should push us to investigate darker and more disturbing topics. From child molestations to the Holocaust to religious intolerance, some provocative developers are using games to explore taboo topics, troubling times and the blackest reaches of mankind's black little heart. Here's a look at some of the games that forgo lighter fare in favor of pushing players' comfort zones. While these digital creations may be disturbing, offensive and even a little bit scary, their creators argue that they also have something important to say about the real world around us. This highly controversial role-playing game plays out like a cross between a game and a documentary film. 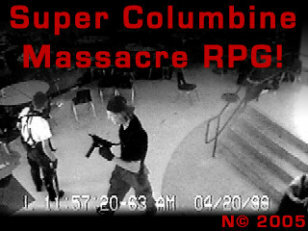 Created by filmmaker Danny Ledonne, it puts players into the mindset of Eric Harris and Dylan Klebold by allowing them to role-play as the two teens on the day they walked through Columbine High School, gunning down students and teachers. Mixed into the gameplay are real images from the boys' lives and the shooting, and excerpts from the killers' own writings. This polarizing game has inspired years of debate, with some praising it as a thoughtful achievement in artistic game-making and others condeming it as an exploitive punch in the gut to the families of those killed. 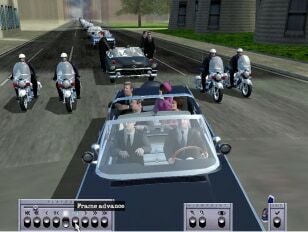 Created by Scottish company Traffic Games, "JFK: Reloaded" stirred up plenty of controversy when it launched in 2004 on the 41st anniversary of John F. Kennedy's assassination. 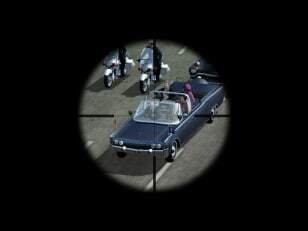 The game, which plays out like a first-person shooter, puts players in the Texas Schoolbook Depository and in the shoes of Lee Harvey Oswald and then challenges them to try to shoot the president as his motorcade drives by. While some called the game a "useful tool" for better understanding a historical event, others call it "nauseating" and the Kennedy family called it "despicable." The game developers and artists at Molleindustria say they want to "free videogames from the dictatorship of entertainment, using them instead to describe pressing social needs, and to express our feelings or ideas just as we do in other forms of art." With that in mind, they created "Operation: Pedopriest" to express their outrage over the Catholic Church's handling of priests who molest children. 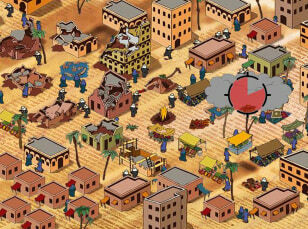 The game asks players to control a Vatican task force that protects priests as they attack children by intimidating parents and witnesses. The game is unsettling, outrageous and, many say, offensive. But the game makers say they wanted to provoke discussion and debate about an issue they find even more unsettling, outrageous and offensive. With "Faith Fighter," the Molleindustria folks use a healthy dose of humor to illustrate the problem of religious intolerance. 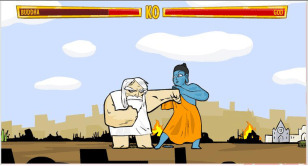 Here players control various deities, from Jesus to Buddha to even Mohammad and have them engage in cartoonish fisticuffs a la "Mortal Kombat." "Right from the start I knew it was important that the game not be preachy," says Conor O'Kane, the Australian creator of the disturbing-yet-fun whale-hunting game "Harpooned." "I didn't want to tell people what to think; rather I wanted to encourage them to think for themselves." 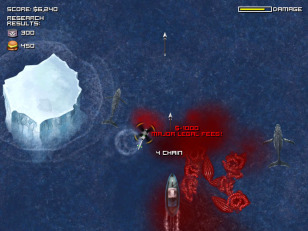 O'Kane's shooting game tasks players with gunning down defenseless whales in Antarctica, transforming them into dog food and whaleburgers as you go. Shoot the whales and their guts blossom in the water. While it's both gross and sad, O'Kane said he wanted to use satire to illuminate a real-world problem - the mass slaughter of whales by the Japanese under the guise of "research." The starting screen greets you with this: "This is not a game. You can't win and you can't lose. It has no ending. It has already begun." Newsgaming offers up its take on the War on Terror with a simple little game called "September 12th." You're given free reign to send missiles into an Afghani Village. But as you destroy buildings and kill civilians, you see that your actions have consequences - the more you fire on the people, the more terrorists you create. 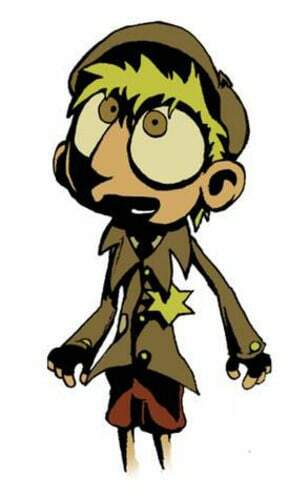 An immediate outcry erupted when artist Luc Bernard announced he was working on a video game about a child's experience during the Holocaust. Many insisted that a game could not and should not explore such a serious topic. But Bernard disagrees. He says that while the games business is full of violent WWII shooting games that have little to do with the realities of war, his game will be a more thoughtful and realistic look at the true horrors of that conflict. "I think this will be the saddest videogame ever made," he said. At this writing, "Imagination" is in the early stages of development, and Bernard says he's working with Holocaust survivors and is winning their support.